James' victory opens the door for a special election to fill the role of New York City public advocate in 2019. 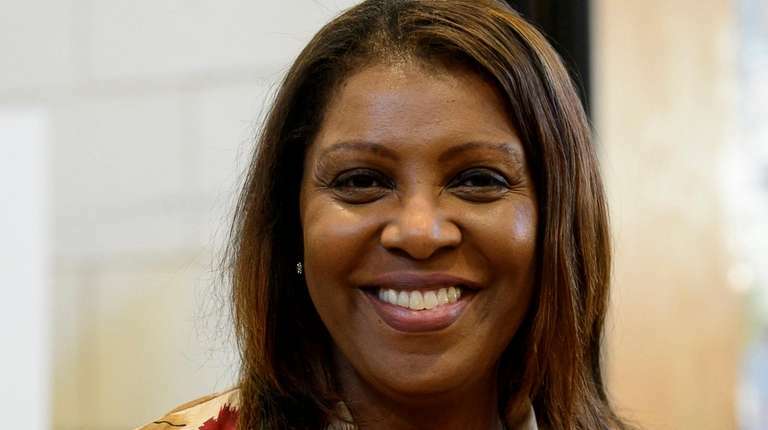 New York City Public Advocate Letitia James will be the state’s next attorney general after beating Republican challenger Keith Wofford Tuesday night. James, who will be New York’s first black attorney general, won 61.94 percent of the votes and Wofford had 35.69 percent of the votes with 99.13 percent of the polls reporting, according to The Associated Press. In her victory speech, James pledged to fight against corruption, voter suppression and illegal gun sales, and in favor of environmental protections. She also promised to dive into the Trump Organization to unearth any possible wrongdoings. James ran her campaign on promises to fight Trump’s policies as well as to crack down on corruption in Albany, though critics often questioned whether her close ties to Gov. Andrew Cuomo would inhibit her in the role. Wofford released a statement conceding the race to James Tuesday night, thanking his family and supporters for their hard work throughout his campaign. "Since I announced my campaign, it has been a pleasure to travel across New York State meeting with the hardworking men and women who aspire to have a more transparent and accountable state government," he said. "Although this was not the outcome we wanted, I am grateful for those who put their confidence in me to get the job done. The race for attorney general took a pivotal turn in May, when then-Attorney General Eric Schneiderman resigned abruptly over allegations of abuse against several women. His sudden departure opened up the Democratic ticket for a primary race in which James easily won out over Zephyr Teachout, Sean Maloney and Leecia Eve. Acting Attorney General Barbara Underwood, who is the first woman to hold the position, did not run to keep the office. James’ victory on Tuesday opens the door for a special election to fill the role of New York City public advocate in 2019. Anyone who collects enough signatures will be able to run for the position, and several City Council members have already expressed interest. City Councilman Jumaane Williams opened a campaign committee with the Board of Elections in October. City to hold public advocate special electionAfter James is sworn in as attorney general, the mayor must set the election date. Cuomo wins third term as New York's governorCuomo's win means another term for Lt. Gov. Kathy Hochul as well. Rep. Donovan ousted by newcomer Max RoseIt was a narrow defeat in a district that voted for Trump by more than 10 percentage points. Meet the 7 new state senators from NYCJulia Salazar, Jessica Ramos and John Liu will be among the new faces in Albany.